On a Journey Free of Cost. Don't worry about seat reservation, it is confirmed. The flight is always on time. 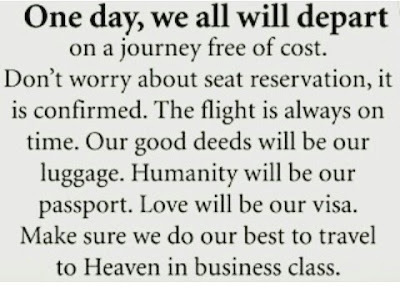 Our good deeds will be our luggage. 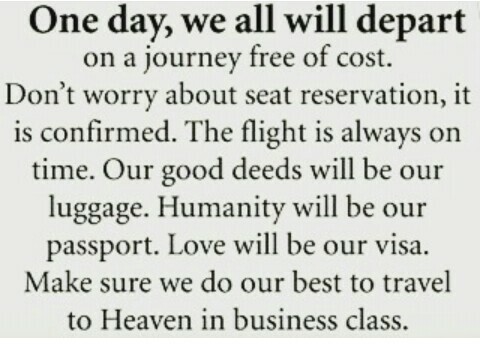 humanity will be our passport. Love will be our visa.